Flottweg is one of the worldwide leading solution providers in the field of mechanical separation technology. Our decanters, disc stack centrifuges and belt presses exclusively manufactured in Germany are the preconditions for high efficiency in production and outstanding quality of our customers’ end products. In the petrochemical, chemical, pharmazeutical and the food industry but also in the field of mining as well as in the environmental area for the treatment of waste water or oil sludges – Flottweg’s premium products and systems work successfully everywhere. Thousands of satisfied customers all around the world are our best reference. For more than 60 years Flottweg have been developing and producing decanter centrifuges, separators, belt presses, and systems considered extremely powerful and reliable. In many industrial areas, they handle key functions in the clarification of liquids, separation of liquid mixtures, and concentrating and dewatering. Each individual machine that leaves our Southern German factory embodies our values and our philosophy: We want our customers to obtain results with Flottweg that can't be beat. Our passion for perfection in detail and in the big picture characterizes our thoughts and actions. Most of our machines are still in use, even decades after they are commissioned. Around the world, the Flottweg name is a synonym for outstanding product quality, top-quality service, and cost-effective long-term operation. The Flottweg high-speed decanter in 1964 was one of the first milestones of our engineering artistry. In-house developments such as the Sedicanter® and the Simp Drive® concept have set benchmarks in separation technology and are drivers for the entire industry. Thousands of successful products now form a unique trove of experience offered by our staff. The pride of working for Flottweg is a great satisfaction for our entire company. Our device engineers, technicians, and experts are specialists in machine design and in the different user industries. They live the Flottweg philosophy with their entire souls. Always on the lookout for improvements and optimization possibilities, they only admit satisfaction with their achievements after careful test runs. That's why Flottweg machines are not only perfectly configured, but also particularly efficient, long-lasting, and powerful. We measure us by the success and the satisfaction of our customers. At Flottweg, the design process and production go hand in hand. Deep material know-how and a combination of the latest fabrication processes with craftsmanship quality characterize our Production dependency. Absolutely perfect machining makes every machine and every system a true 'display piece' and demonstrates our expectations as premium manufacturer and technology leader. Our customer polls show it over and over: our Flottweg Service department also gets top grades worldwide. Thanks to years of experience and continuous training, our technicians have perfected the separation results of our machines. In close collaboration with our customers, they can overcome any new challenge. We are grateful for our continuous growth to a staff of over 750 to thousands of satisfied customers from the food, petrochemical, chemical, and pharmaceutical industries, as well as the environmental sector. 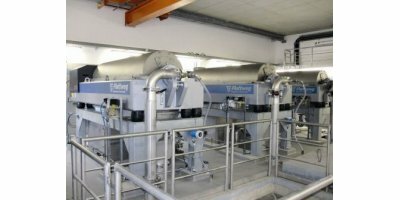 No matter the industry, thanks to our immense process technology experience with high-performance separation systems Flottweg is a popular partner - for customer-specific adaptations as well as for innovative solutions in new markets. Our foreign markets are particularly strong in growth. With exports making up 85% of sales, Flottweg today has sales subsidiaries and service representatives in all the important regions of the world. The typical Flottweg customer is looking for the best solution for their separation tasks. They think in terms of the future, and demand quality and performance. After all, an industrial centrifuge is often in active use for 30 years! Decanter centrifuges, in comparison with other types of centrifuge, offer industry by far the greatest application options. At the same time, the decanter is among the most complicated machines in solid/liquid separation. Only a deep understanding of the mechanisms and comprehensive knowledge of processes can ensure the best separation results. With every success story among our customers, our experience grows. We've collected them, along with knowledge and production capacity, for the last 60 years and bundled them into our machines and systems. The result is unmistakable concepts developed for the success of our customers. We are a Bavarian company with strong values. We have a clear concept of quality and we don't compromise. Our machines can withstand forces that are sometimes over 10,000 times the acceleration of gravity. Some of our customers work with highly aggressive or explosive materials. Our machines can meet any challenge permanently - even 24 hours a day, 7 days a week. So we need a clear conception of how quality and performance have to be. No matter what others may do, we remain true to our principles. We take this consistently to heart with our safety and quality requirements. These requirements and others are the reason that we only produce our decanters, separators, and belt presses in Germany. Only here can we find the conditions that meet the strict requirements we place on ourselves and on our products. Most of our machines are still in use today. 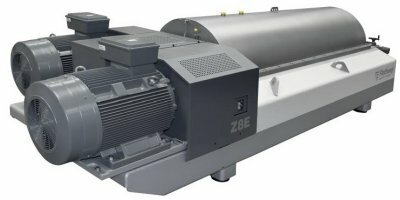 Even on the used machine market, Flottweg centrifuges still command top price. We serve a variety of industrial sectors. The variety of application possibilities of our machines is equaled by the challenges our customers encounter every day. At Flottweg, there are five planning departments available for project work. These departments are in direct contact with our sales groups. That guarantees short communications pathways to project management. We know the requirements of our customers and their industries. We work hand in hand with our customers to develop customized solutions. These solutions offer clear added value. Systems customized to the application case work more smoothly and can also offer higher performance.